Guerry had been trying to make the move out of sales for about five years but life moves at its own pace sometimes. 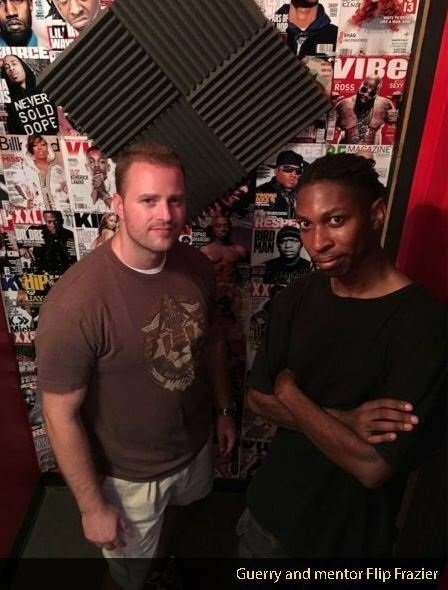 Nevertheless, Guerry stayed in it, connecting with artists in the Atlanta music scene and one day it happened, Guerry was asked to manage a few local artists. As Guerry gained momentum and traction producing and managing these acts, he decided he wanted to get solid chops and understanding as to what goes into the recording and engineering process. The last thing Guerry wanted was to be one of those “producers” who didn’t know a fader from faded, who couldn’t speak the language of the engineers he’d be working with, and so, he decided to join Recording Connection. Right about this time Atlanta hip hop artist Fre$h Boi approached Guerry after he’d recently parted with his label. Since then, they’ve released Fre$h Boi’s latest track. An LP is in the works. All in all, Guerry has seven Atlanta based artists under his music production company, G Mansion Music and he’s working with A&R expert Lawton “Agent” Bouhaire who has placed music with some of the music industry’s biggest names and just helped Guerry land an affiliate deal with Empire Distribution.